A cement is a binder, a substance that sets and hardens and can bind other materials together. It is a powdery substance made by calcining lime and clay, mixed with water to form mortar or mixed with sand, gravel, and water to make concrete. The natural cement is obtained by burning and crushing the stones containing clay, carbonate of lime, and some amount of carbonate of magnesia. The clay content in such stones is about 20 to 40 percent. The natural cement is brown in color and its best variety is known as the Roman Cement. It closely resembles very closely eminent hydraulic lime. It sets very quickly after addition of water. It is not so strong as artificial cement. Artificial cement is obtained by burning, at a very high temperature, a mixture of calcareous and argillaceous materials. The mixture of ingredients should be intimate and they should be in correct proportion. The calcined product is known as the clinker. A small quantity of gypsum is added to the clinker and it is then pulverized into very fine powder which is known as the cement. The common variety of artificial cement is known as the normal setting cement or ordinary cement. 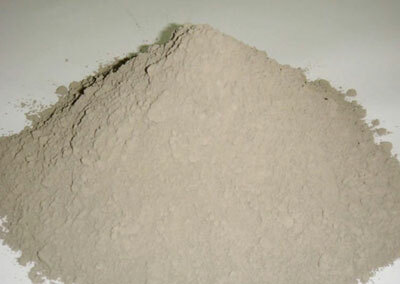 The various varieties of artificial cement exceeding 30 in number are available in the market at present. Normal setting or ordinary or Portland cement has a production of about two-third of the total production of cement. The cement can be used under conditions and circumstances which are not favourable for lime. The cement, when converted into a paste form, sets quickly. The colors of cement and lime are different. When water is added to the cement, no heat is produced and there is no slaking action. It gives strength to the masonry. It is an excellent binding material. It offers good resistance to the moisture. It possesses a good plasticity. It stiffens or hardens early.